Floormasters provides expert flooring installation and repair services to Northern California’s multi-family residential, commercial, senior-living – and affordable properties. 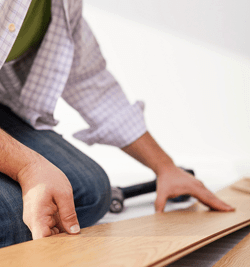 Since 1987, Floormasters’ team of certified installers has efficiently and cost‐effectively delivered a wide variety of flooring, including top-performing carpet, sheet vinyl and vinyl plank with product and service warranties. Floormasters’ commitment to performance and innovation is demonstrated through its product evaluation and testing process, leading-edge technology for customers and its operations as well as employee training and continuing education. Its commitment to environmental responsibility is reflected in the broad selection of green products, facilities design and its comprehensive recycling program. I've used Floormasters for a number of years at several different management companies. Floormasters has a good understanding that customer service is just as important as pricing.